The disconnecting coupling allows two pieces of equipment to separate when you are not carrying torque, when stopped or are coasting down. The disconnecting coupling is not a clutch where torque is shifted on and off on the run. A hydraulic shifter allows both ends to operate independently by providing side-to-side shifting or manual shifting with a lever. Power plants containing a turbine-driven feed pump are a primary application for the disconnecting coupling. 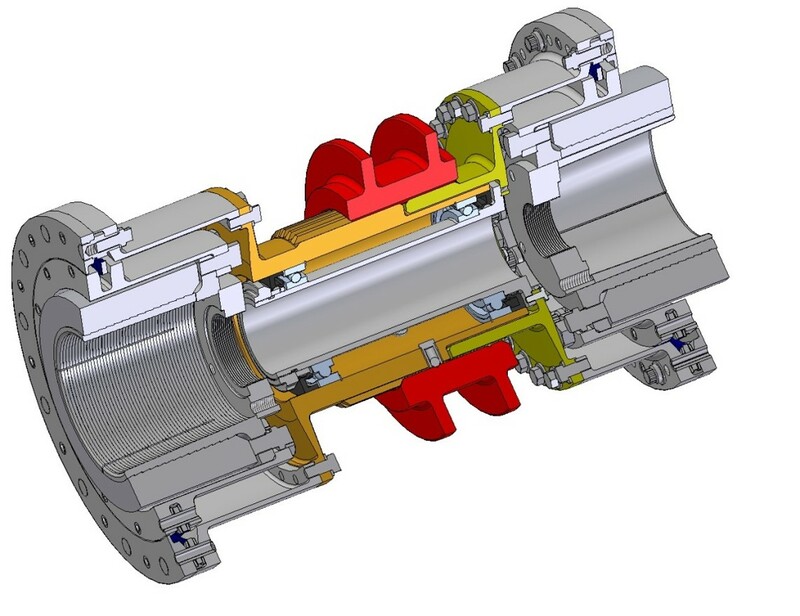 The coupling is typically disconnected when they are not making power and want the turbine shaft to be turning slowly on turning gear while the pump shaft remains stationary. This coupling is ideal for environments where the individual pieces of rotating equipment need to be tested, repaired or replaced. One common example would be during an overspeed check of a turbine, which normally happens in the downtime before a system can come back online. The disconnecting coupling saves many hours of downtime by eliminating time needed to dismantle and reassemble the coupling.